Ivan Gonsalez’s routine is anything but routine. 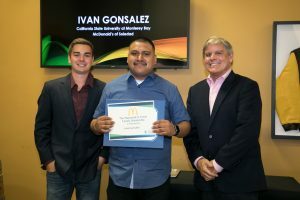 Each day, there’s work to be done – driving to CSU Monterey Bay from Soledad – some 50 miles each way – while holding down a job as shift leader at the local McDonald’s. “Yeah, I’m busy, but’s it’s going to be worth it. I’m a working student so everything I pay out of pocket. I have to follow through with my education,” said Gonsalez, the first in his family to attend college. Enter his boss, McDonald’s franchisee and Salinas Valley businessman Raymond H. Costa. Costa knows the character-building that comes with struggle. He was a tenacious United Parcel Service driver twice rejected by the McDonald’s Corporation for a shot at a franchise. Costa now owns 10 McDonald’s located in King City, Soledad, Greenfield, Gonzalez and Salinas. 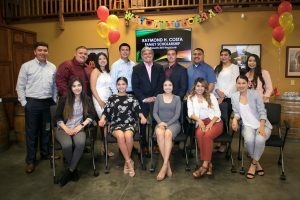 Costa shared his story with the 13 employees who received $56,250 in scholarship awards from his Raymond H. Costa Family Scholarship Fund established at the Community Foundation for Monterey County (CFMC). 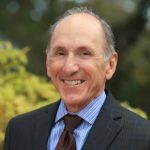 Since launching his fund in 2017, Costa has awarded $108,000. Recipients included Gonsalez, whose experience at McDonald’s led him to study business management. He’s on track to graduate at the end of the year. 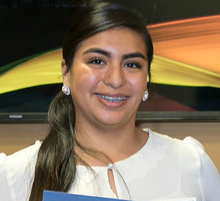 Other recipients, Gabriela Jorge Maldonado wants to study engineering. Ana Landin, also at CSUMB, plans on working for a nonprofit organization. Their aspirations are now closer to reality thanks to Costa’s generosity. Dan Baldwin, President and CEO of the CFMC advised the students to remember the day. 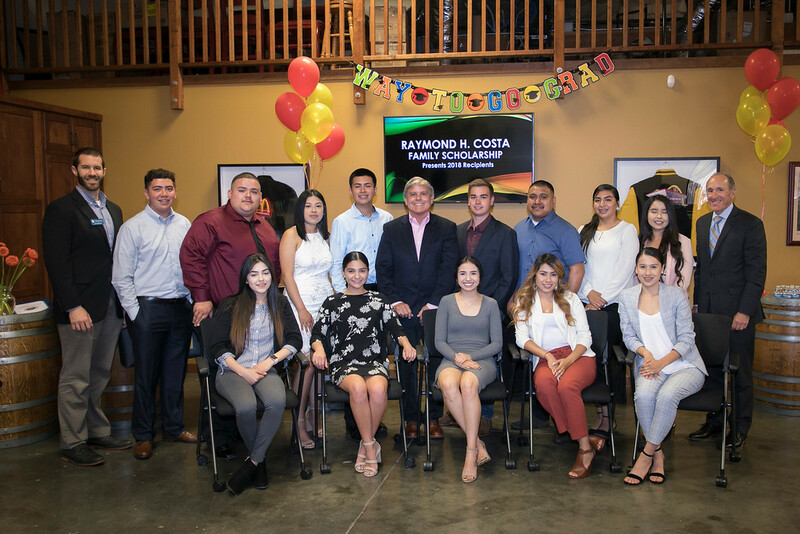 The Raymond H. Costa Family Scholarship Fund is one of 50 named scholarships funds managed by the Community Foundation for Monterey County More than $1,300,000 is awarded annually for the benefit of 375 students. 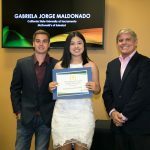 For more information about scholarships please call Christine Dawson, CFMC Vice President of Philanthropic Services at (831) 375-9712, visit www.cfmco.org/Scholarships. The CFMC granted $16.7 million in 2017 to more than 400 nonprofits. In addition to providing grants, the CFMC supports local nonprofit organizations by providing capacity building services and leadership development through the Center for Nonprofit Excellence (CNE). It is a fully accredited community foundation that is held to rigorous national standards.